The Oregon Legislative Assembly has authorized the establishment of an institutional governing board for the University of Oregon, a shift in governance structure that will significantly change the way the university is managed. Senate Bill 270, which passed 23–7 in the Senate and 44–15 in the House during the final days of the 2013 legislative session, establishes institutional boards for the UO, Portland State University, and Oregon State University. It also creates a process for Oregon's other four public universities to seek their own governing boards in the future. The board will be authorized to issue revenue bonds (to be repaid from the university's own resources) to pay for the acquisition and construction of property and facilities. It will develop and approve each year's university budget, will have the authority to hire and fire the president, and will manage existing UO buildings and property on behalf of the state. The board will set tuition rates for out-of-state and graduate students, and will have limited authority to raise resident undergraduate tuition, with legislative approval needed for any increase greater than 5 percent. "Local governing boards at our public universities will produce increased transparency and public accountability, while at the same time leveraging increased private investment and community engagement," said Governor John Kitzhaber in a July 3 statement, issued as the legislation headed into a vote. The governor signed the bill into law in August. 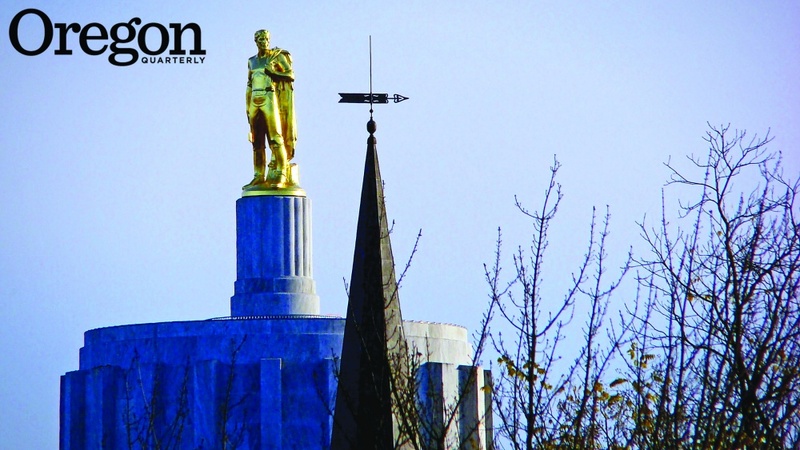 The state's public universities have been managed collectively by the Oregon State Board of Higher Education since 1929, when the legislature established the statewide board to provide central oversight and eliminate unnecessary duplication within the system. Support for local, institutional governing boards has gained momentum in recent years, however, with PSU and the UO issuing white papers in 2009 and 2010, respectively, calling for a restructuring of their governance relationships with the state in response to the changing economic climate and needs of public higher education institutions. Ensures more direct connections between and accountability for the university's mission, goals, strategic plan, financial management, and performance. "Furthermore," Gottfredson continued, "an institutional board will allow us to tap into greater philanthropy to recruit and retain top faculty members, make a UO education even more attractive and accessible to Oregon's best students, and build state-of-the-art facilities and technology to better serve the needs of Oregonians in the 21st century. And, importantly, it assures a high level of accountability as a public board." The legislation requires designated seats on the board for one student, one faculty member, and one nonfaculty university employee. It stipulates that the student be a voting member, with the governor determining at the time of appointment whether the faculty and staff positions will be voting members. The university president will be an ex officio, nonvoting member of the board. The governor's office sought input on board nominations from the University Senate and student government president, the Oregon Students Association, the university, and the broader community. Although the legislation calls for members of the board to be appointed and confirmed by September, they will not be installed and invested with authority for management of the university until July 2014, allowing for a period of training and greater familiarization with the institution. Until that time, the State Board of Higher Education will continue to oversee all seven universities within the Oregon system.